Heat the oil in a medium frying pan over high heat. Add the lemongrass, garlic and beef and cook for 5–8 minutes or until browned, breaking up any lumps with a wooden spoon. Add the lime juice, sugar, fish sauce and chilli and cook for a further minute. 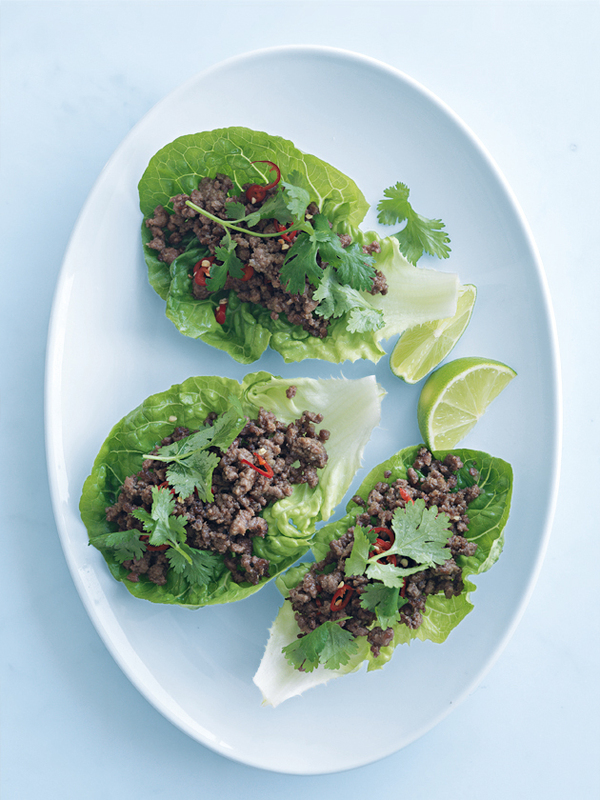 Fill lettuce leaves with mince and top with coriander. Serve with lime wedges. Serves 2. Tip: You can turn this snack into a more substantial meal by serving with cooked rice noodles or steamed rice.